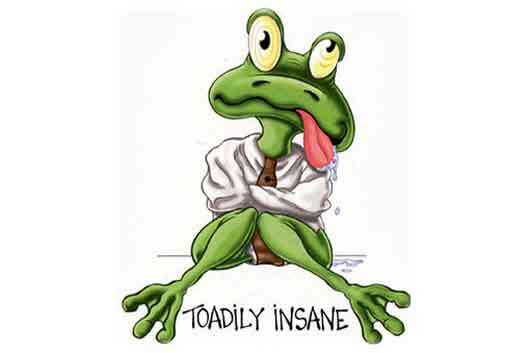 Someone who is considered insane is generally believed to be seriously mentally ill. This can be seen by certain abnormal mental or behavioral patterns. The person may be afflicted with insanity or mental illness. He could be deranged, demented, or mad. The person could be a danger to themselves or others. An insane person usually violates the acceptable society norms. The word, “insane” stems from the English, “sane,” which means healthy. Hence, insane is someone who is not healthy. The word was used medically, but is not avoided in preference of specific psychological disorders that the patient is diagnosed with. In common tongue, the word has garnered a slang context and is used to refer to someone who is acting irresponsibly, foolishly, or stupidly. It can even be used to refer to situations that are crazy, and may cause serious problems, harm, or injury.